What’s the Best Aquaponics Grow Media? It’s exciting trying out something new, especially when aquaponics gives you such a great opportunity to be a successful gardener and feed your family organic produce! 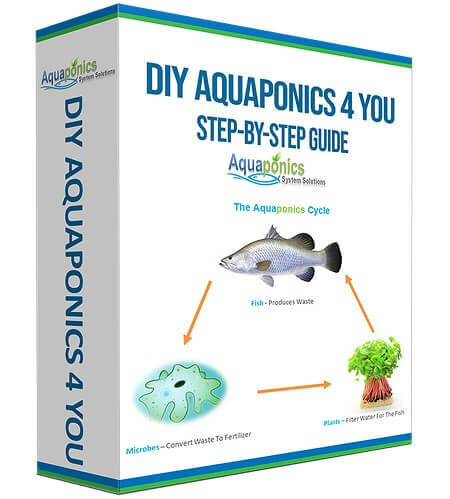 But, as with everything, there are plenty of things to learn; getting them right in your aquaponics system will ensure that you have a system that needs little maintenance. Choosing a grow bed and tank is relatively simple, but the array of choices for aquaponics grow media is likely to leave you baffled. That’s why I’m here for; to help you understand what it is, what choices are available, and which is going to best suit your needs. The first thing to understand is what the grow media is actually for. Before you go any further it is important to note that not all systems use grow media. For example, the floating raft system simply has plants on rafts with their roots dangling in the water. In order for a plant to grow and become well established it needs a strong root structure. This allows it to absorb the nutrients it needs and ensures it remains in position. In nature, strong roots prevent the plant from falling over or being removed in bad weather. Your aquaponics system may be protected from the elements but strong roots are still essential to allow the plant to grow and support its own weight. The aquaponics grow bed material acts in the same way as soil; providing the plant with stability and nutritional access. Grow media is perfect for plants that need a strong root system. 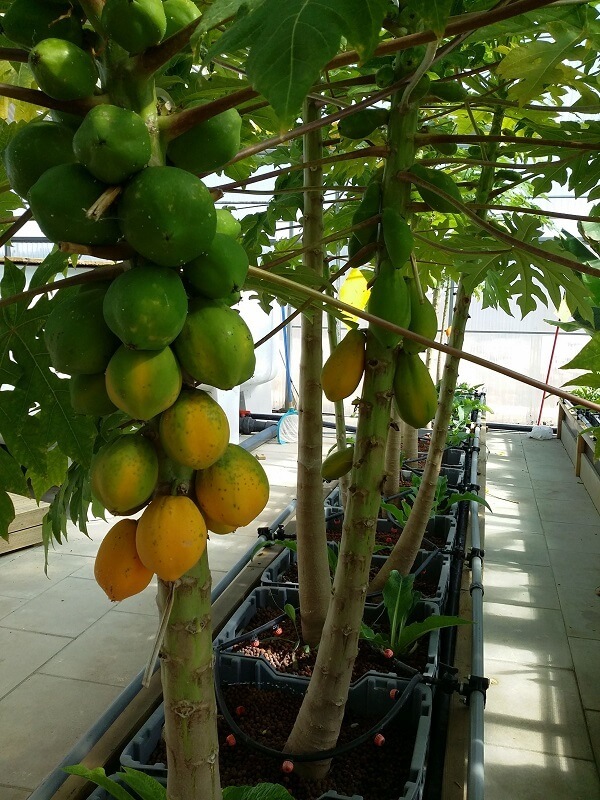 Try growing a papaya tree in a DWC or NFT system! In an aquaponics system, you need to have bacteria. 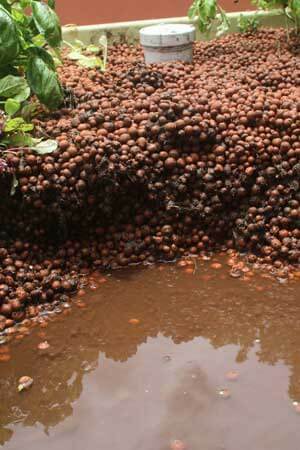 These convert the fish waste, (ammonia), into nitrites and then nitrates; which can be used by the plants as nutrition. However, in order for this process to occur the nitrifying bacteria need to have a surface to cling to. In flood and drain systems, that’s the grow media. The larger the surface area (BSA), the greater the number of bacteria, and the better the ammonia conversion rate. Learn to calculate the total surface area (BSA) for your system in my book. You can achieve a large surface area by using small grow media or larger quantities of bigger grow media. That’s why you need to know the different types and which may work best for your system. In a deep water culture system (DWC) or a nutrient film technique (NFT), a biofilter is used to house bacteria. You’re going to need to handle the grow media, specifically to position it in your grow bed. This means you want something easy on the hands that you’re happy to work with. For example, lava rocks are porous with a large surface area. But, they are also sharp and can cut your hands. You also need to consider the cost. It can vary considerably depending on which type of aquaponics grow media you’d like to use. Hydroton is a particularly expensive example while gravel tends to be the cheapest. If you’re just starting out it’s important to balance your budget against your anticipated results. It is essential to control the Ph level in your system; this is something you’ll need to do daily. Your fish and your plants will have their own preferred pH range, ideally, you should choose fish and plants that have a similar range (a pH of 7 is good once the system is established). However, you also need to consider that some grow media can alter the pH of your system; potentially limiting plant growth and even hurting your fish. That’s why it’s best to avoid limestone; it is often used to raise pH levels and it’s very good at it. In fact, it’s a good idea to test your grow media with vinegar before you put it in your system. It’s really easy to do. Simply wash your grow media thoroughly and then place it in a container with enough vinegar to cover it. If you see bubbles this means the pH is on the high side. The bubbles are a reaction of vinegar with limestone; the greater the amount of bubbles the higher the limestone content is. No bubbles mean its pH neutral which is great; it will make it much easier to regulate the pH level in your system. As already mentioned, the greater the surface area of your media the more room there is for bacteria and the better your system will be at converting ammonia to nitrates. The different types of media will offer differing surface areas; you’ll have to consider what is best suited for the size of your system. It is important to verify that your chosen aquaponics grow media will not break down and decompose in your system. This will reduce the area for bacteria and potentially cause blockages or anaerobic pockets in your grow media; these can be very damaging to your plants. Lava rock is formed when red hot lava cools very quickly. In the process, the air pockets are trapped inside the lava rock. This dramatically increases the surface area of the lava rocks. It also ensures the rocks are lightweight and you’ll find they offer great drainage. They are also usually pH neutral. But, they are sharp; your hands are likely to get cut when touching them. In addition, this sharpness can cause damage to some plant roots. They are a good option but not necessarily the best one. Hydroton is actually an expanded clay product. Clay is a great option for growing virtually any plant; it is full of microscopic holes which allow it to provide good drainage while holding enough water to keep your plants happy. These tiny holes dramatically increase the surface area of this grow media and help to ensure there are plenty of nitrifying bacteria for your aquaponics system. It also retains its shape, encouraging maximum air flow and is, surprisingly, pH neutral. It is also one of the most expensive options and tends to float when first used; potentially causing blockages in your pipes and filters. River rock is generally round; it has been shaped by the flow of the river over it. This is one of the cheapest options, you should be able to pick it up at your local store. It is advisable to go for a medium grade, too small and it has the potential to clog up the growbeds. Of course, go large and you won’t have the surface area you desire. 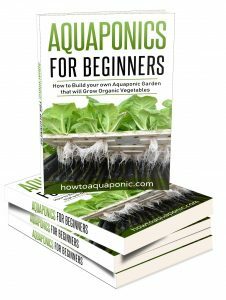 This is a good media for anyone starting out in aquaponics but don’t forget that it is relatively heavy; you’ll need to make sure your grow bed can handle the weight. You will need to wash it and check it’s pH before you use it. There is a high probability it will have limestone in it which will increase your pH levels. 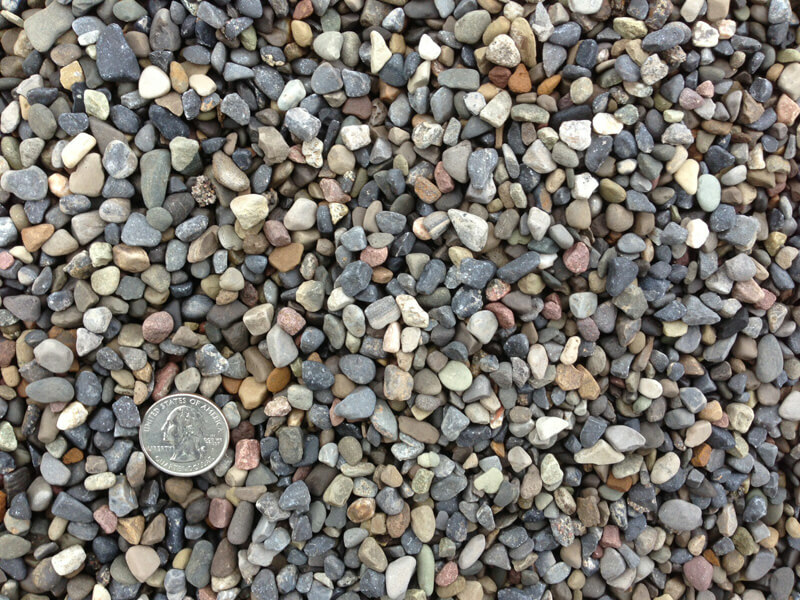 Pea gravel is usually the cheapest option available, but, you’ll need to confirm what the gravel is made from. 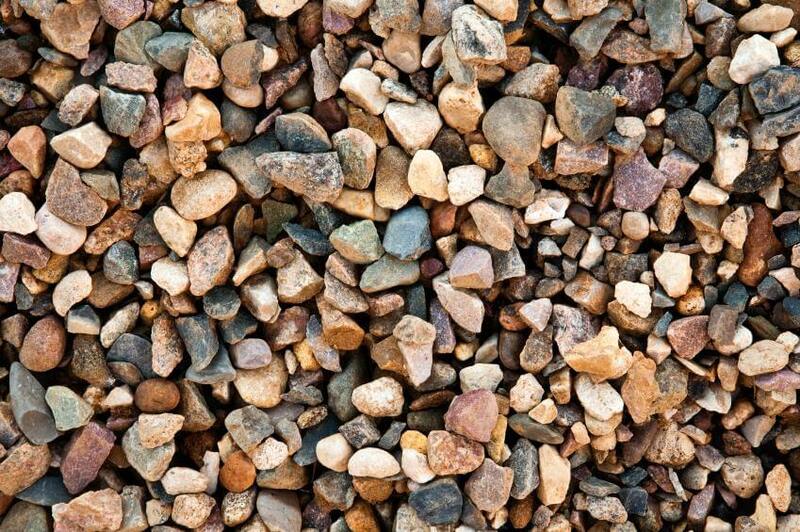 It is called pea gravel because of the size of each piece; it can be made from virtually any material. 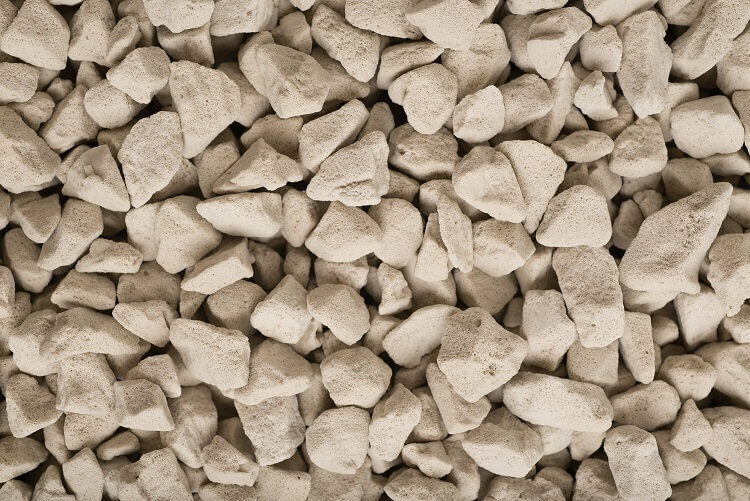 You’ll need to verify that it’s something like quartz, limestone pea gravel is not a good idea! Whichever one you choose make sure you test it for limestone, if the result is positive, don’t use it. The small size of it gives you a large surface area for bacteria, but you’ll need to take precautions to ensure pea gravel doesn’t create anaerobic zones in your growbed. 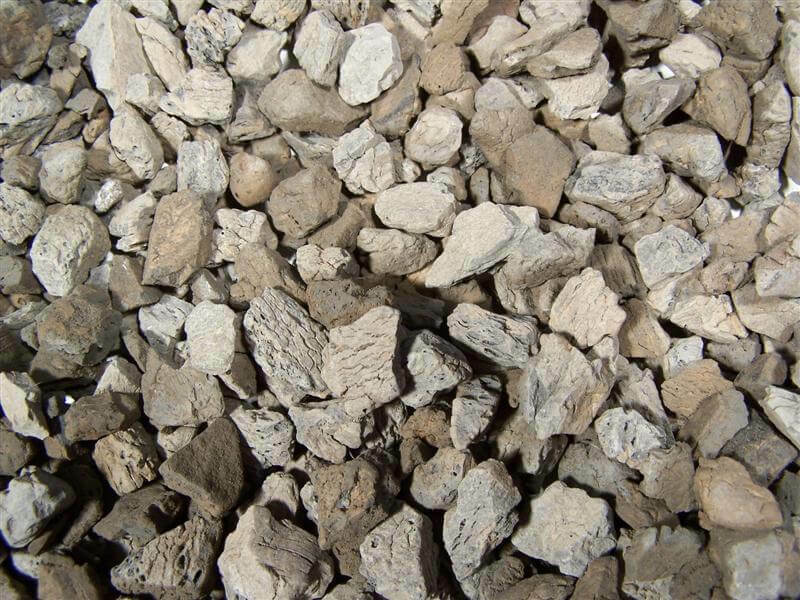 This is natural shale which is heated to approximately 2000°F. In the process the shale will expand, creating hundreds of tiny air pockets inside. This increases the porous nature of the grow medium and the surface area. 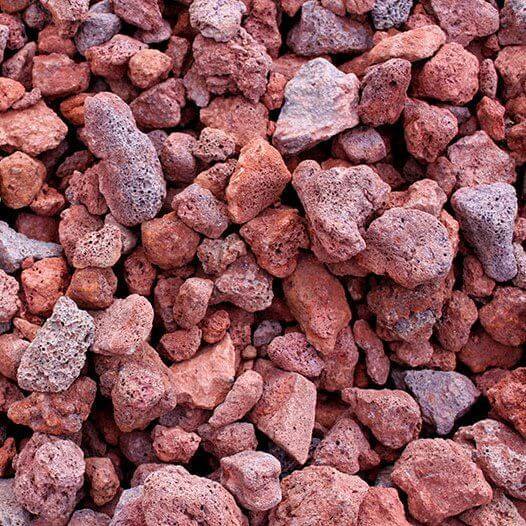 This product is nearly as cheap as pea gravel, making it an attractive and viable option. The good news is that, due to the heating process, the sharp edges are melted away; you won’t cut your hands handling this. The final option on this list is growstones. These are actually lightweight, porous, recycled glass products. The preparation process ensures the grow stones are pH neutral. In fact, the creation process ensures they have plenty or pores for nitrifying bacteria. But, it is important to note that they have a surface similar to sandpaper; you’ll have to be careful handling it and verify that you’re fish are okay with this type of media. If you can afford it, go with expanded clay. If you can’t or don’t want to spend the money, river rock is the best choice. 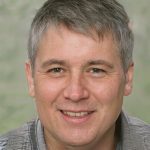 Which grow media doesn’t work? 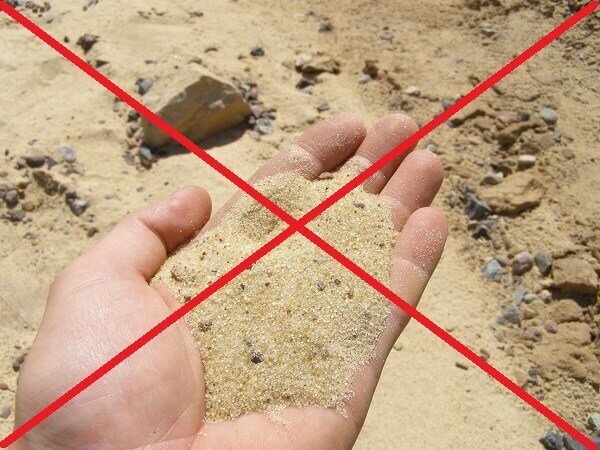 Sand is very fine which will mean it will have a great amount of surface area for your bacteria. But sand will clog up your growbed causing anaerobic zones (zones without oxygen) and kill your beneficial bacteria. Don’t use sand in an Aquaponics system! Organic substances can seem like a good idea. However, items like coconut coir and similar degradable products will degrade in your system. This will create pockets of decomposing waste; damaging the nitrifying bacteria ability to do their jobs. In addition, the decomposing matter can be sucked into your pipes and filters, damaging them and blocking the water flow for your plants. The recommended depth of your grow media is 12 inches. However, you should add an extra two inches on top of this. This will greatly reduce the likelihood of algae or fungal growth. So, having 12 inches of wet media that’s flooded and drained and 2 inches of dry media that blocks sunlight from reaching the wet grow media. Solid waste should be collected by your filter but it is possible it will slip through to your grow bed. This can cause issues as it occupies space that the nitrifying bacteria could be using. This is why it is essential to drain your tank once a year, after removing the plants and fish. Agitate the grow media and flush it several times to ensure the fish waste is gone and your system is clean; ready to produce more plants for you. 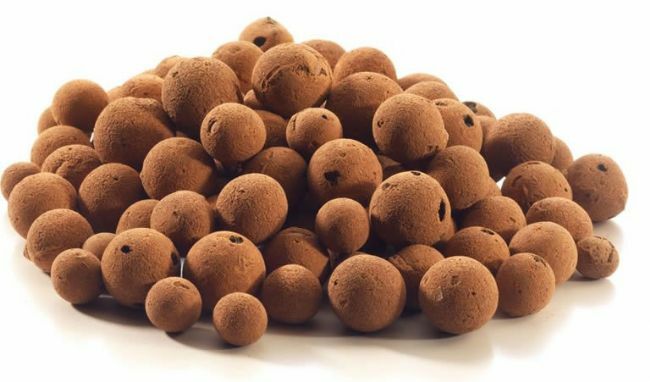 Choosing the right aquaponics grow media will make a difference to your success rate; you’ve got everything you need to know to choose and start the ball rolling! 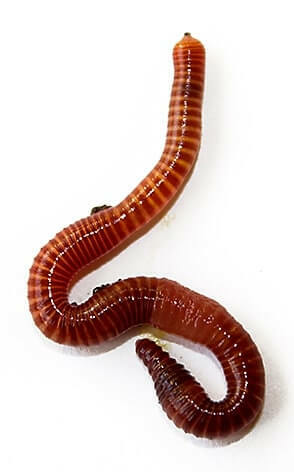 Worms will take care of solids breakdown in your growbed. They will eat solids waste and excrete the minerals it contains, in turn, the plants take up the minerals.